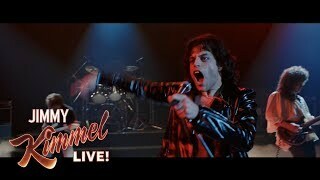 Is this the real life? 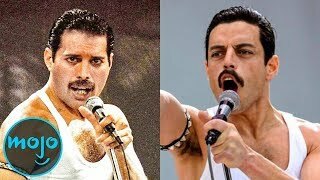 Is this just fantasy? 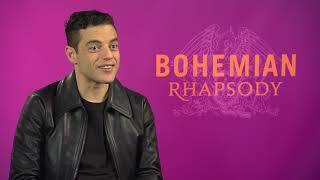 Angela Bishop sits down with the actor to talk about taking on the role of Freddie Mercury in this highly anticipated biopic of Queen. Get more out of your mornings with Studio 10 | 8.30am – 12pm weekdays on Channel Ten featuring hosts Sarah Harris, Joe Hildebrand, Angela Bishop, Kerri-Anne Kennerley, Denise Scott and Denise Drysdale. 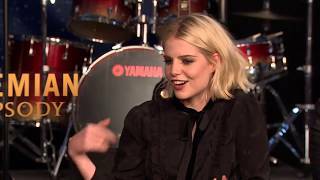 Find out more about 'Studio 10' here: http://tenplay.com.au/channel-ten/studio-10 To add to the discussion on topics and share your opinions on 'Studio 10', head to one of our social media platforms below. Facebook: https://facebook.com/studio10au Twitter: https://twitter.com/Studio10au (@studio10au) Instagram: https://www.instagram.com/studio10au (@studio10au) Tag us using the hashtag: #Studio10 Subscribe to the 'Studio 10' Channel here: http://bit.ly/2boxlSO Join our LIVE studio audience at our studio in Sydney, Australia. Grab your free tickets here: http://bit.ly/2ee57JO Live elsewhere? Email [email protected] to see if we come to a city near you! 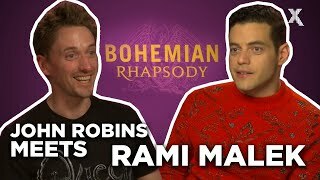 Tara Hitchcock sits down with Gwilmy Lee, Joe Mazzello, Lucy Boynton, Rami Malek, Graham King and Ben Hardy to talk about their newest movie, Bohemian Rhapsody. 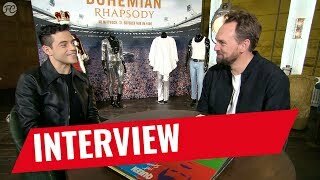 Rami Malek from Bohemian Rhapsody meets a Queen SUPERFAN! 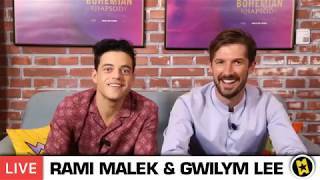 I'm a fan and I just wanna share the best moments I found from some of many Rami Malek's interviews. 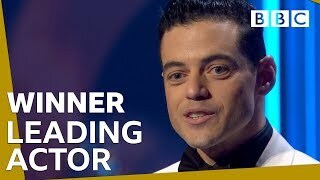 I love to see the cute Rami, the funny Rami, the wise Rami, and most of all, the loving Rami in some videos. 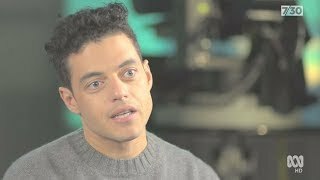 It's so adorable to see how much Rami loves and appreciates his mom/family. 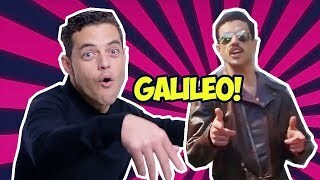 Have fun watching! 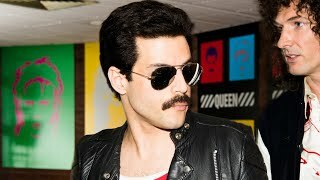 These videos are not mine. Cropped from below videos: 1. 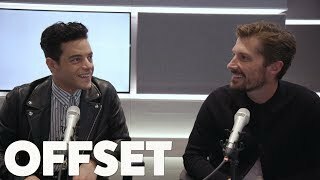 Rami Malek's Podcast interview with Andy Greenwald -- https://www.youtube.com/watch?v=a51jcMJoE6I 2. Conversations with MR. 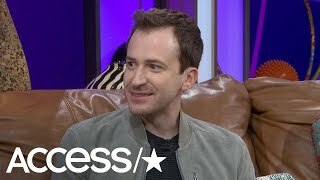 ROBOT -- https://www.youtube.com/watch?v=8JBM351OKDc 3. 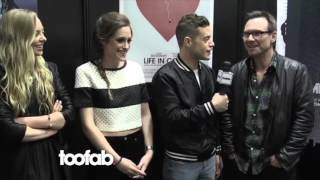 Rami Malek & Mr Robot cast interview with TooFab at SXSW festival -- https://www.youtube.com/watch?v=uYHlsGJaELk 4. 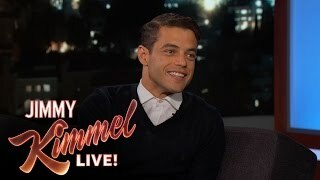 Rami Malek Reacts to 2016 Golden Globe Nomination -- https://www.youtube.com/watch?v=bKfmTScuLnI Thank you all for uploading Rami Malek's interviews. 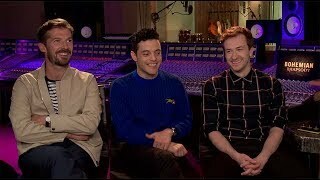 Joseph Mazzello, playing Queen bassist John Deacon in the new biopic, talks about how he perfected his character for die-hard Queen fans who were very particular about the movies portrayal of the bands history. 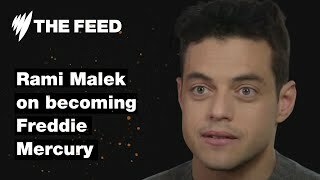 Rami Malek Is Hilarious Funny Moments Behind the Scenes Bohemian Rhapsody Funny Interviews Freddie Mercury Queen 2018 Oscars 2019 #BohemianRhapsody #RamiMalek #FreddieMercury 🎥 All rights and credits reserved to the respective owner(s) ➖➖➖➖➖➖➖➖➖➖➖ ©️ COPYRIGHT ISSUES ©️ If any owner of clips, used in my compilation, has a copyright issue, feel free to contact me by personal message and add title COPYRIGHT ISSUE. I will remove the clip, video or come to an agreement. Thank you.